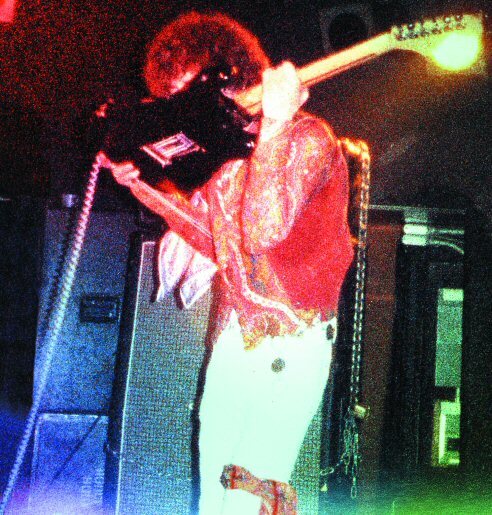 Concert clips & recordings of Michael Fairchild performing Jimi Hendrix music live. The band tours were staged in order to get performance footage to use in the movies and lecture series being produced today by First Century Press. Michael Fairchild: guitar/vocals; Mike Caywood: bass; Andy LaClair: drums/backing vocals; Mike Thone: drums; Marco Ruggerio (from Toronto): drums; Rick Lundgren: bass. the Jimi Hendrix estate production company. trained him for this, recordings prove it. into a series of movies. 100,000 "likes" becomes "100" and so on. There are no laws that stop them from doing this. a small fraction of their true figures. to expose the most valuable story of all time. 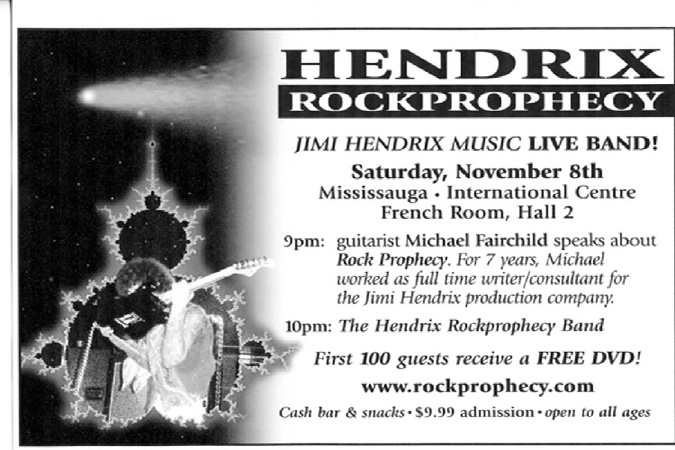 All "Likes" and "Hits" digits online for "fairchild" and "rock prophecy" are fake, fixed, rigged, fudged numbers. Seattleland's Microsloth tech engineers infiltrate web companies and insert software code to tweak website hits counters so that for every 1000 hits for "fairchild" or "rock prophecy" three zeros are deleted. 1000 "hits" become "1", 100,000 "likes" are seen as "100" and so on. They also rig search list results to omit any video uploads tagged with "rock prophecy" or "michael fairchild" unless the content is hostile to these topics. They aim to persuade us that no one is interested. But the opposite is true, so Microsloth uses most of its profits to pay off media to keep Rock Prophecy suppressed. T.H.E.Y. have to do this because W.E. own the most valuable story of all time and it condemns T.H.E.M. forever for slaying all babies as the Murderers of Earth. There are no laws that stop them from tweaking web company hits and likes counters. Even if laws were passed (which their lobbyists ensure won't happen) there is no way for gubmint to enforce such laws. Naive people who doubt this can go pray to Santa Claus. Dozens of new movies from First Century Press are in production, that's why it's taking much time. W.E. have the dirt on Seattleland vermin. Everything is to be revealed. And what you need to survive the asteroid storm descending for centuries on this planet is being withheld. You don't know and you won't know the equations that can save you, unless you complete the SINGLE DEED required to obtain these critical insights. through secret deals behind the scene. show fake numbers of "hits" and "views"
[NOTE: Please be aware that	for years the owners and staff at the Yahoo search engine have artificially/surgically removed this rockprophecy.com website from all listings under the words "jimi hendrix." Following the example of Paul Allen, the owners of Yahoo are intent on concealing the insights and research of Hendrix scholar Michael Fairchild, out of sheer pathological jealousy.